Of the several species of birds that no living Utah birder has likely seen in the state, one of the more interesting species is the Ancient Murrelet. Many birders might be surprised that this species is on the Utah list--when in reality the only surprise is that more haven't been seen. The ANMU is the most abundant and widespread murrelet species on the Pacific coast and one that ends up inland on a somewhat regular basis. Utah has 4 historical records, all of which happened prior to 1975. With more than 40 years since the last sighting, it seems like this species is long overdue for a reappearance. A major issue with murrelets showing up inland is that they tend to die rather quickly. Most records are one-day wonders, with remains often being discovered soon after the initial sighting. 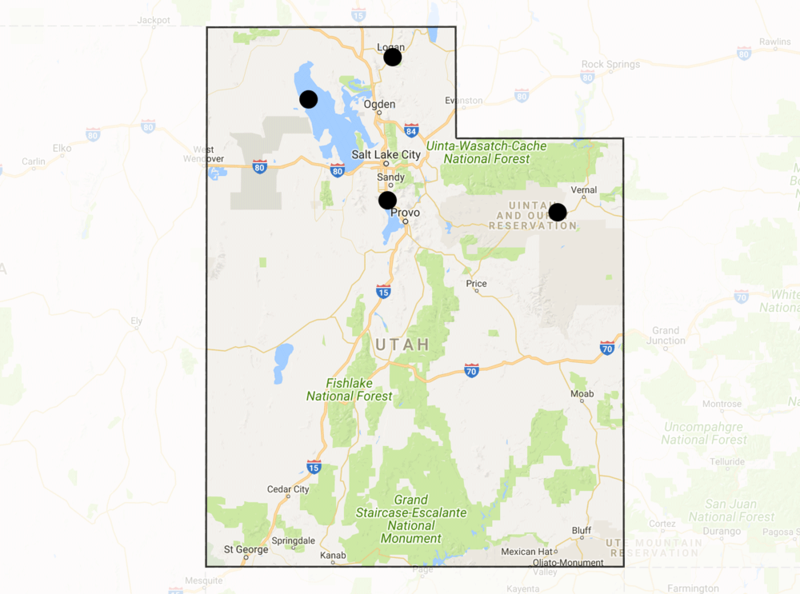 In fact, all 4 Utah reports appear to be specimens, with little details aside from where and when the birds were found. For this reason, the ANMU is very much a unicorn of birds in Utah, meaning that of all the species on the current list, the likelihood of seeing one is remarkably low. Typically found on cool open ocean waters out of sight of land sometimes concentrating over edge of continental shelf. Occasionaly found on sounds, and rarely in salt bays. Known to feed close to shore, especially in straits or near islands where tidal currents concentrate food near surface. Nests in burrows on islands with good cover of grass, shrubs, trees. The pattern of vagrancy shows a tendency for late fall through early winter movement, as well as late spring, with the vast majority of reports coming from November and May. Sightings of this species away from the coast are widespread, with most Great Basin states having at least one record, with numerous reports centered around the Great Lakes in the upper midwest, and a handful in New England. One report comes from November 24, 1962, in Logan, Cache County. This bird was picked up dead by Greg Wagner at the Logan Sewage Lagoons, although exactly where is unknown. The emaciated specimen ended up in the teaching collection at Utah State University. The most recent sighting came on May 6, 1974, when a fresh specimen was picked up on Gunnison Island in the Great Salt Lake. This leads to the interesting fact that more haven't been seen or recovered from the lake. Given the large size, remote west shore, and general lack of coverage it is likely that this species may show up more frequently in Utah than records indicate, with birds possibly reaching the west side of the lake and never being discovered. 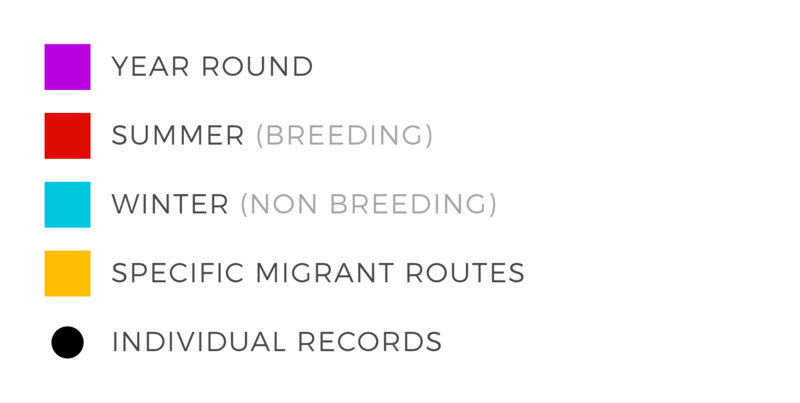 With that said, given the propensity for other seabirds (scoters, jaegers, gulls) to reach the east side of the lake where birders routinely find rarities, it may speak to "unicorn" status mentioned earlier. Murrelets forage while swimming underwater, likely catching all food within 60' of the surface. Th diet is not well known, but shrimp appears to be primary food for much of year. Will also eat very small fish, including sand lance, capelin, herring, smelt, saury, rockfishes, and shiner perch as well as crustaceans. This species does not breed or nest in Utah. There are no reliable locations to find this species in Utah. All 4 sightings have occured from different locations--1 along the Great Salt Lake and 3 at random locations in northern Utah.